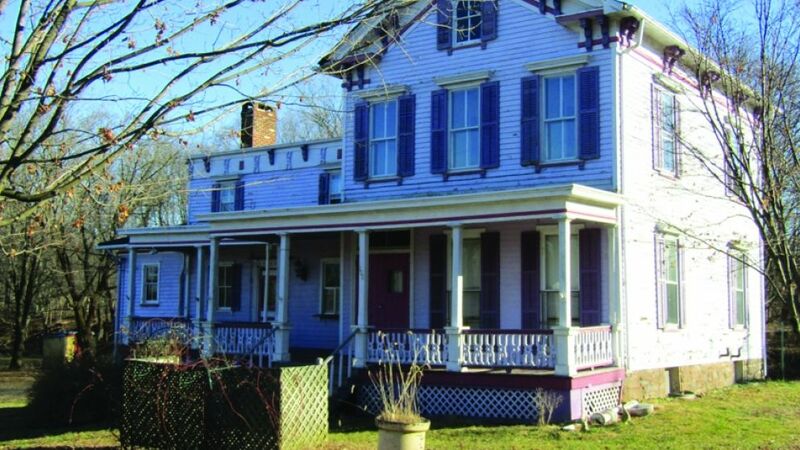 BRANCHBURG - A familiar landmark and historic house in Neshanic Station village will be auctioned next month. Branchburg Township will auction the house at 100 Elm St. next to the former Neshanic Flea Market. The auction, to be conducted by Max Spann Real Estate and Auction Company of Clinton Township, will be held at 3 p.m. Wednesday, April 17 at the Branchburg Township Municipal Building, 1077 Route 202. Previews of the property will be noon to 2 p.m. March 21 and April 6. The three-bedroom house is located next to the restored Neshanic Station train station on the abandoned Flemington Branch of the Jersey Central Railroad that once carried passengers between Somerville and Flemington until the 1940s. On a corner lot, the house is across Main Street from the post office and diagonally across from the Neshanic Methodist Church. The house is located on the 3.68-acre property that also used to contain the Neshanic Flea Market which closed years ago. In November, Somerset County and Branchburg Township split the $350,000 selling price and the lot was subdivided with Branchburg owning the section with the house and the county keeping the flea market section next to the South Branch of the Raritan River. The county will use the flea market property as an addition to its South Branch Greenway along the river. There will be parking for fisherman and those who come to the river for a swim, a canoe trip or to lounge on the sandbars. Eventually, Freeholder Brian Gallagher said in a news release, the property will serve as a trail head for a trail network being developed along the South Branch of the Raritan River. The South Branch Greenway is a long-term county goal to create a continuous open space network along the river. The greenway will link to other portions of the Somerset County park system and connect to other preserved open space parcels. The goal is for the greenway is to extend from the confluence of the North Branch and Main Branch of the Raritan River to Hunterdon County. The county began work on the greenway in Hillsborough and Branchburg in the mid-1990s. With the flea market property, the greenway will be more than 670 acres. Branchburg will auction the classic Italianate house as a single-family home with a deed restriction that will require the exterior be maintained with its historic character intact. In 2015 Branchburg took the same action to preserve the historic O'Brien house on Blackpoint Road just outside on Neshanic Station also on the South Branch. “Through this county/township partnership, will we preserve a historic house, create a walking path for the enjoyment of county residents while also offsetting the cost of the acquisition,” Branchburg Township Committeeman James Schwon said in a news release. “A win-win for all." For more details on the auction, visit maxspann.com/auctions.